Royston Community Association offers a wide range of social welfare, self-help, educational leisure and sporting opportunities to people of all ages. 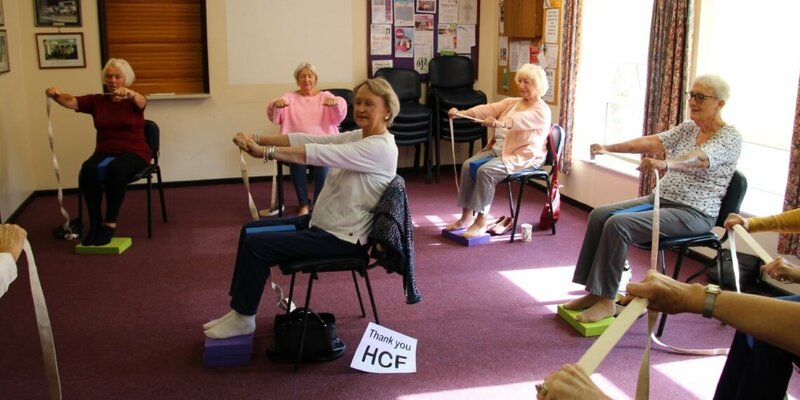 Their popular chair based exercise group is especially for people with limited mobility and aims to gently improve the attendee’s posture, balance and fitness levels. Sadly the group was facing funding challenges and without immediate help would have to close. A £5,000 grant from HCF will now fund the group for a further year, going towards the costs of their fully trained tutor. Mrs Gillian Morland, Manager for Royston Community Association said; “Our previous funding had ceased and sadly the costs are too large to be covered by the participant’s contributions alone. This is such a worthwhile and valued group offering both physical and mental health benefits. Keeping active helps to avoid muscle deterioration which can lead to a loss of independence. It is also a social experience - a reason to get out the house and to talk to meet people."